Early last month, two of my buddies and I were planning our July long weekend road trip, and we decided to discuss our itinerary over some late night grub. We decided to check out Zet’s Restaurant in Mississauga right by the airport, since this place was on my list of diners to visit and review. The diner itself is quite clean, and has a nice relaxing atmosphere. The staff are friendly, and best of all, it’s open 24 hours. The only downside to this diner is they only accept cash, although there’s a cash machine on site. 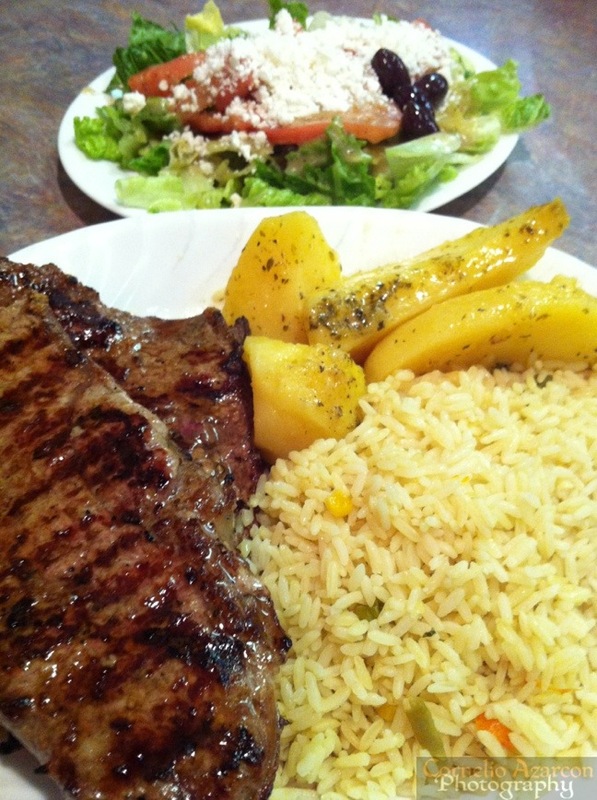 I decided to order the 24oz New York steak ($32.95) which included roasted potatoes, rice, and salad. The salad was huge…it was served on a separate plate. The rice and potatoes were well seasoned and cooked well. The steak wasn’t one whole 24oz piece…it consisted of two pieces, a 16oz and an 8oz. I preferred the steak cooked medium rare, which they delivered with the 16oz piece. The 8oz piece on the other hand was more medium to medium well. Overall, it was a good meal, and a nice place to get some late night food. This restaurant is a great alternative to what’s available in the city in regards to 24 hour diners, which for the most part is just Denny’s. Will definitely come back here again.